Plus there's also a treat for Hockneyphiles at the end of this post. See behind the scenes of the New RA in our very own documentary. This didn't really do much to avoid the notion that the RA is some sort of exclusive club which has only started to get to grips within thinking about adding in more women as members since 2000. It's been made partly because of the RA's 250th anniversary. Part of me is convinced it has been made for an American audience and future benefactors in terms of what it focused on e.g. history, the royal connection, lavish dinners etc and the rituals associated with being a member. It did show you around the RA - although I've seen much of what it revealed on a trip I did in connection with the building project. It showed you how the RA Summer Exhibition worked - from an Academicians perspective and we had an endless number of views of the signatories over the years when people became members and Grayson Perry floating around in another costume that the students at the London College of Fashion have made for him. It was interesting to hear that the Friends Membership Scheme generates something like £10 million per annum - and is their bed rock of funding in the absence of any government grant. However I'm a Friend and have been thinking of giving up my membership ever since they took away the Chesterfields in the Friends Room. It was particularly interesting to hear what the membership was supposed to deliver in the early days (i.e. what I want) compared to what it now delivers now i.e. bigger spaces for doing more things which are no interest to me. and on extended interviews with Hockney himself. In the context of the 250th anniversary of the RA it's unsurprising that Tim Marlow wanted to feature the biggest exhibition they've ever had at the RA i.e. the 600,000 people who visited The Bigger Picture in 2012. There are times when I think Hockney is keeping the RA afloat all on his own. It's not very penetrating interviewing and I spent most of the time predicting what was coming next - but that might be something to do with how many times I saw A Bigger Picture! However it was wonderful to see the rooms and the paintings in the exhibitions again. In some ways it was better because of course the rooms are empty and hence you get a much better sense of some of the works. It tended to focus on the paintings and didn't really do justice to either his drawings or the ipad digital work. It also skipped lightly and quickly over the reasons for moving back and to between California and East Yorkshire. It's more interesting about the processes of paintings (e.g. each portraits was the product of three concentrated days of painting - and none of them are commissions) and provides less insight as to why. Other than Hockney likes a big project and a challenge! Curator Edith Devaney introduces David Hockney’s portrait exhibition, giving an insight into this remarkable series of work and Hockney’s relationship with portraiture, as well as her own experiences of sitting for the artist. David Hockney RA talks to curator Edith Devaney in his Los Angeles studio, ahead of his Royal Academy exhibition '82 Portraits and 1 Still-life'. The series is adapted from full-length feature films originally released in cinemas under EXHIBITION ON SCREEN. Bottom line this is a programme which is compiling and using bits of various footage which has been released over the years and re-issuing it in such a way that it feels quite fresh - even when you know you've watched bits of it before! You can also purchase it as a DVD in the UK, USA and Canada. 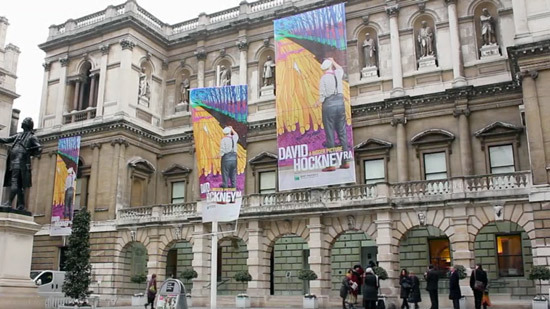 I've written about David Hockney on a number of occasions on this blog. You can READ my posts BELOW - they're organised backwards by years. 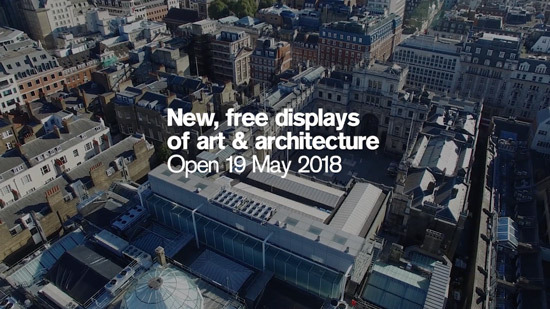 2014 - The Arrival of Spring - David Hockney's latest exhibition - 85% of the digital drawings in The Arrival of Spring had been sold before this exhibition opened at Annely Juda Fine Art. 2012 - 22nd January 2012 - Who's made a mark this week? "This post this week has rather a slant towards Hockney, digital art on an iPad and pastels - which pretty much reflects my week." 2007 - Turner Watercolours with Hockney and Shirley - about Hockney's curation of BP Summer Exhibition: Hockney on Turner Watercolours (11 June 2007 – 3 February 2008).